Season of gratitude… the holidays are fast approaching and opening a special energetic time for us to be grateful for what we have… even in the midst of our daily challenges. This month the New MOON is in Scorpio… bringing our awareness to our bodies… and to the deepening of our relationship with the Mystery Herself. Perfect time to cultivate a trusting relationship of gratitude. Can we explore the opportunity for gratitude seeing our body as the open vessel to experiencing Spirit of Oneness, itself? I know for me… its been a long road of healing in my body… healing from the experience of separation and fear. I could say the fear probably stems from my Near Death Experience, but that’s just part of the outer story. According to the Sufi book, Physician of the Heart, fear can be aroused as early as our gestation in the womb, due to the internalization of the weaknesses of both the earthly mother and father. 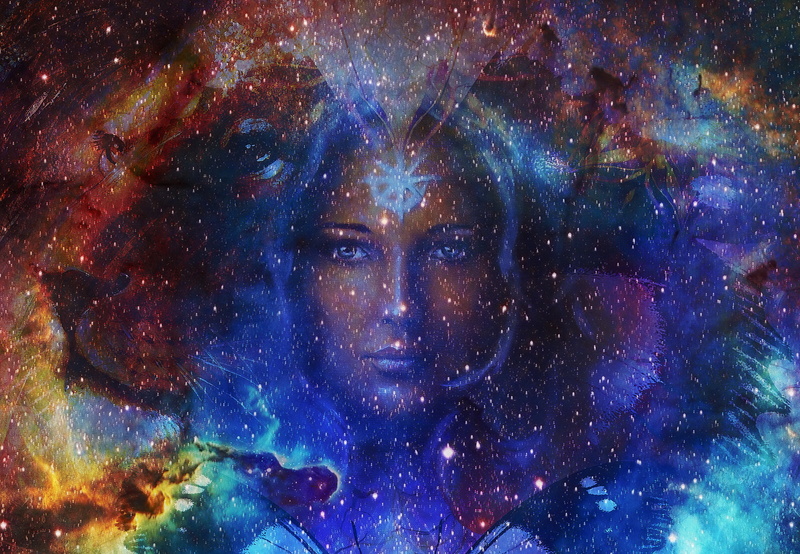 Through transformation of this internalized fear, we transcend our desire of nourishment and protection towards the Divine, directly receiving it from the Feminine and Masculine; heavenly mother and father. Fear is not easy to transform… but nonetheless it is possible. Some people feel more fear in their bodies than others. We all carry a default emotion which we are here to transform for ourselves and for our lineage. It is part of the fractal lines that we are healing as a species. Some people default to grief, some to anger, some to shame, some to hopelessness, while others its fear and terror. Clearly, these are emotions we may feel at any given time, but there is usually one emotion that we default to… and consistently face in our challenges. At the core, fear is the underlying emotion that fuels all of these other states. And I definitely have concluded that I belong to the fear and terror group of fractals. As we come in with one particular fractal and emotional default, our lives effectively organize around the life lessons that perfectly arouse these emotions, setting the perfect scenario for transformation and transmutation, for our greatest evolution. So, for me it has been fear and terror, for others it may be grief, etc. One of the Universal qualities that opens us up to the Feminine nourishment of GOD is “Mu’min” the Faith or Believer… a great quality to transform fear and hopelessness. During the last week I had the privilege to attend a wonderful movement and meditation retreat… and it was a great experience of really facing the underlying emotions that lay between my experience of physical form and mystery. My greatest take away was experiencing my body as a vessel of light… as a vessel for Oneness… and then experiencing this Oneness as I let body be moved by it. It was an amazing experience of dissolving the lines of separation from body to Spirit. We will be exploring some of this in my upcoming workshop; Embodied Breath: Dance of the Soul. More details soon. So, as we move into Scorpio New MOON, lets bring in the gratitude for the sacred vessel that our body is, a beautiful vessel for Spirit. We will be working with the quality of Mu’Min and activating the Feminine essence of the Divine during our next Luna Activation on Friday, Nov. 17th. This excerpt from my online Ebook speaks to the development of this relationship with our bodies, as we work through fear and separation from mystery. The New Moon is opening the opportunity to experience Body as sacred vessel and merge with Mystery Herself! Lets say yes… to Body and Mystery!